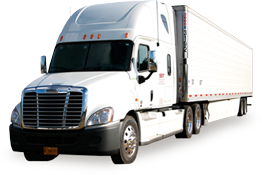 Our qualified staff of professional movers and fleet of new trucks will meet all of your moving needs. We carefully screen all our employees and regularly train them in the latest packing and moving methods. Our crews utilize state-of-the-art equipment to safely transport and deliver most fragile furniture, machinery, fine arts and pianos. Each vehicle in our fleet is equipped with a Real-Time Vehicle Tracking System, aka GPS (Global Positioning System). Real-time vehicle tracking uses a web interface so dispatchers can see where every truck is at any given moment. Movage is fully insured for your protection. Movage carries full liability and cargo insurance that allows us to operate in the finest, most exclusive buildings. We maintain a substantial amount of insurance for our client’s convenience and peace of mind. If you are moving high-end furnishings or antiques, you may consider purchasing a separate third party full replacement value coverage policy. Our relocation consultant can recommend an independent insurance company if your Homeowners Insurance Policy doesn’t cover it. Movage is licensed for interstate and intrastate moving. We comply with licensing and insurance requirements in all states we operate in.